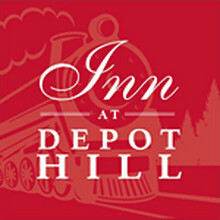 Awarded the prestigious AAA 4-Diamond rating, The Inn at Depot Hill has been celebrated as one of the top 10 inns in the U.S. Each uniquely styled room is decorated to perfection with amenities and comforts from the past. Rooms feature fireplaces, sitting areas with lounges and décor that is not to be matched. With an international flavor in each room, the experience is one not to be missed. The inn is close to everything in the quaint village of Capitola-by-the-Sea and steps from fine dining and walks to the Capitola beaches are at your beck and call. Shopping for unique items is a part of Capitola’s charm and is easily included in your visit from this fine inn. Guests enjoy a full gourmet breakfast each morning served in the main salon or delivered right to your room. Afternoon refreshments and wine are served with appetizers in the evening, before dining. You can find many local restaurants to suit your fancy or a short drive to Santa Cruz can offer a bigger selection of flavors. Or you can simply enjoy the world-class luxury of your suite, bathe in your Jacuzzi, or gaze out at the beautiful gardens before retiring into the quiet of your fantastic surroundings. For the romantic guest, there are a selection of choices for each and every desire and international flavor with privacy and elegant comforts. Be sure and ask about the “Romance Packages” which include champagne and truffles with a $75 certificate for dinner at a local restaurant. Conveniently situated off of Highway 17, this inn has great access to the Monterey Bay, and south to Big Sur and the redwoods, as well as Pebble Beach Golf. You can choose any outdoor activity as you will find whale watching, fishing, kayaking, surfing, swimming, picnicking and hiking are all within a brief walk or drive. Many marine sports are available to book and a trip to any of the local beaches is an incredible experience of white sand and clear turquoise waters of the Monterey Bay. The world-class Monterey Aquarium is a brief drive from Capitola and can be a great day trip with a side visit to one of the many wineries in the county and wine tasting. Elegance from the past with comforts of the future. Beautiful detail and comfort to please.